Contraception - a "faith killer"
Fr Anthony Doe was the guest speaker for the Conference of the Association of Priests for the Gospel of Life today at the London Oratory. He spoke about the Gospel of Life in relation to the spiritual life of the priest, encouraging us to find in contemplative prayer the love of the Father which brings fruitfulness to the celibate life. One of Fr Doe's memorable phrases was to describe contraception as a "faith killer". 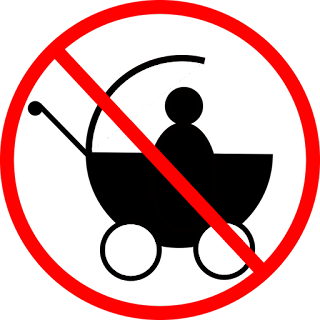 Within a generation or two, the faith dies away in many families as a result of the use of contraception owing to the collective rejection of the proper ordering of love. In the afternoon, Fr Marcus Holden gave a short spiritual conference followed by half an hour's adoration (with confessions) and benediction. Fr Holden spoke about the fear of God in relation to the spiritual life of the priest. 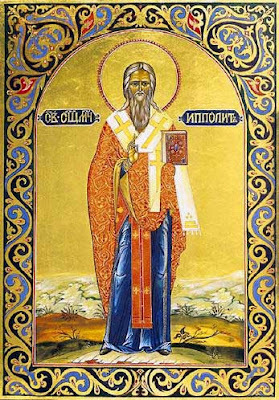 His conference drew from the teaching of the Fathers of the Church, especially St Basil and St John Chrysostom, and the teaching of St Alphonsus Liguori. Last night, I was the guest at a joint meeting organised by the Oxford University Pro-Life Society and the Oxford Newman Society. There was first of all a magnificent dinner at the Chaplaincy, attended by 24 students and cooked by members of the Newman Society. The Library was full for the talk with about 40 students attending. I spoke about Humanae Vitae, 40 years on. I pointed out that Humanae Vitae was addressed particularly to married couples whereas now most people arguing about contraception are referring to non-married relationships. I looked at the breakdown of traditional Christian morality (as predicted by Pope Paul VI) and the response that we could make by upholding the teaching of Humanae Vitae and encouraging people to see that teaching as offering a nobler way of life. Just a reminder for clergy of the Association of Priests for the Gospel of Life will be holding a Conference tomorrow, Wednesday 31 October at the London Oratory (St Wilfrid's Hall). Our principal speaker is Fr Anthony Doe whose addresses have been very popular at various study days for priests. A buffet lunch is provided and the afternoon is given over to a spiritual talk, the Rosary, opportunity for confession, and Eucharistic Adoration and Benediction in the Little Oratory. Registration is from 11.15am. The Conference will finish by 4pm. The Conference is open to all priests and deacons (whether members of APGL or not). It is fine to leave a comment here if you wish to come. It is also OK just to turn up - you will be very welcome. At NLM: Images for Liturgical use Jeffrey Tucker has posted a link to a flickr collection of "images for use in liturgy programs". Most of the images are black and white which makes them useful for newsletters and booklets run off in the parish. If, like me, you have been stuck with some not very good sets on CDs and the occasional search on google images, these are a Godsend. I recognise several from old missals and breviaries which were so beautifully illustated. There are some that I had a mind to scan for myself so it is a great help to have them collected. 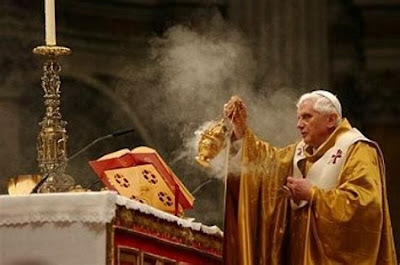 On Saturday, I passed on a rumour from the Crimson Forum about Another old rite Mass in St Peter's. I don't think that the fellow had his facts right (it was a rather confused message.) I'll let you know if I hear anything more. Is your alb back to front? An important contribution to the debate about "time limit" measures was made by Colin Harte in his book "Changing Unjust Laws Justly. Pro-Life Solidarity with "the Last and Least." Rather than attempt to summarise the book myself, I refer you to the Publisher's notice (Catholic University of America) and to an excellent Review by Francis Phillips. The closely argued book is not by any means light reading but it is lucidly written and makes a vital contribution to the current debate. One of the most important sections of the book is the author's analysis of Evangelium Vitae n.73 (and n.90). Cardinal Murphy-O'Connor and Cardinal O'Brien recently published an Open Letter (pdf 99Kb) on the occasion of the 40th anniversary of the 1967 Abortion Act. There is much to applaud in what they have written. One of the most important points is made in the first paragraph:Even without a change in the law the abortion rate could fall dramatically if enough minds and hearts were changed.We know this to be true from the example of Poland where the abortion rate fell dramatically after the fall of communist government without any change in the law. The lesson is vital for us in the UK. A correspondent sent me the link to this very amusing post on the Angelqueen Forum.As a result of all of the media attention being paid to the freeing of the traditional Mass, there has consequently been much attention paid to the traditional Catholic priestly Society of St. Pius X (SSPX). Journalists, bloggers and writers desiring to cover the topic have been forced to become quickly informed on a subject which many had previously known little or nothing about. Lefebvriatrics - The field of traditional Catholic medicine. Lefebvrionics - Traditional Catholic robot building. The other day, my copy of Thérèse arrived from the good ol' US of A so it was time for me to take a drive down the Dover Road to that great temple of mammon, Bluewater, to get hold of a DVD player that could be hacked into being multi-region. Having checked that the cheapest one currently available had a hack available online, I was a little crestfallen to find that the shop had printed sheets with all the details. At any rate, I can now merrily play DVDs from the USA or anywhere else - which seems sensible after all. I thoroughly enjoyed the film and will watch it again - probably with a few parishioners. However, I rather winced at one or two points; not from personal dislike but in anticipation of what I might read in the reviews; the Rotten Tomatoes page for Thérèse confirmed some of those fears. The tactics of this anti-abortion lobby - the cavalier distortion of research and the inflammatory use of neonatal images - obscure important truths and pervert the course of debate from more thoughtful channels.Showing pictures of babies certainly does obscure the "truth" of their non-personhood. Actually it is generally pictures of babies in the womb that are used "neonatal" is a rather revealing slip of the keyboard, I think. Sarà Sabato 10 novembre alle ore 10 nella Basilica Papale di San Pietro. Celebrerà Sua Eccellenza Mons. De Magistris. Vi posso assicurare che sono tutti molto contenti . Vi posso assicurare che alcuni giovani Sacerdoti assisteranno per "apprendere" il modus celebrandi. [Translation]It will be on Saturday 10 November in the Papal Basilica of St Peter. His Excellency Mgr De Magistris will celebrate. You can be assured that all are very happy. You can be assured that some young priests will assist in order to learn the manner of celebrating. Earlier this week, there was a report (The Press: Ambushed) of two men being ambushed and beaten up in Ravensthorpe, West Yorkshire by a group of thirty youths. The local police commander, Chief Inspector Jon Carter said that he believed that a local group called the Ravy Terror Squad was responsible. He also said that he had a lead and intended to lock them up. Since then, several have been arrested in early morning raids. It was amusing, however, to see how careful he had to be to avoid using inflammatory language when describing the group:"This is not a gang as such, more a peer group which has got involved in crime and anti-social behaviour"Not a gang at all, nothing like that, no. H/T to Laban: Ravensthorpe Ravers whose article offers customary sensible comment on the whole story and its context. There has been a worrying development this week in the UK's creeping discrimination against people who adhere to traditional Christian morality. Not only must the Catholic Adoption Agencies close, Christian foster parents will be struck off too. 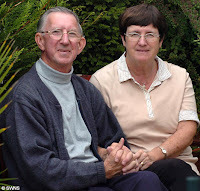 Vincent Matherick (a non-conformist minister) and his wife, Pauline became foster parents in 2001 and have since fostered 28 vulnerable children through Somerset County Council's Social Services Department. Social Services asked the Mathericks to sign a contract implementing the Sexual Orientation Regulations. The foster parents were told that they would have to discuss homosexual relationships with children of 11 and to explain how gay people date. It was made clear that they would have to present homosexual relationships as being just as acceptable as heterosexual relationships. The Latin Mass Society has a quarterly Low Mass in St Peter's Basilica in Rome. Yesterday, John Medlin sent me the very good news that the Society has now received permission to celebrate the Mass in the Chapel of St Michael in the nave of the basilica instead of the Hungarian Chapel in the crypt. The first such Mass will be at 7.15 am on Friday 23 November celebrated by Mgr Ignacio Barreiro, the liturgical representative of the Society at Rome. Sometimes people criticise electronic communication because it might be a poor substitute for real face-to-face communication. To be honest, I have often found that email has helped me to renew acquaintances with old friends; and through the blogosphere I have met many new ones. Just over a month after the visit of Fr Zuhlsdorf, I found myself today having lunch in London with Fr Guy Selvester who writes the blog Shouts in the Piazza. "But we regularly speak in Catholic parishes..."
Travelling back from St Mary Moorfields last night, one of the company had a copy of the free paper that is handed out to commuters. On the front was a picture of the fires in California. I offered up a prayer, knowing that almost certainly some of the people I know through the blogosphere would be affected. I find that this is one way in which blogs make news more personal than reading "shock horror" stories in the chip wrappers. Fr Z reports that the Prince of Peace Abbey in Oceanside is not far from where the fires are raging. One of the community is the great blogger Fr Stephanos, of Me Monk, Me Meander. When I was a student in Rome, I remember going with a priest for Mass in one of the ancient Churches. The priest said that he was going to use Eucharistic Prayer II because it was the most ancient of all the prayers and was specifically Roman, composed by Hippolytus. This was the standard view at that time (early 1980s) but has since been called into question. A number of people have recently mentioned the matter to me and so here are a few notes for you. In the 19th century, a number of ancient texts were discovered that were similar to the "Apostolic Constitutions", (of which the first modern edition was published in 1563). Among these texts was a document which came to be referred to as the “Egyptian Church Order”. In addition, the Canons of Hippolytus and the Testamentum Domini were discovered. I am singing Mass tomorrow evening at St Mary Moorfields, the Catholic Church in the City of London. The Blessed Sacrament will have been exposed earlier in the day. At 6pm, the parish will have Evening Prayer in the Church. This will be followed by Benediction and then by a Missa Cantata in the extraordinary form at 6.30pm. The Mass is arranged by the Latin Mass Society. Why choose a particular text? 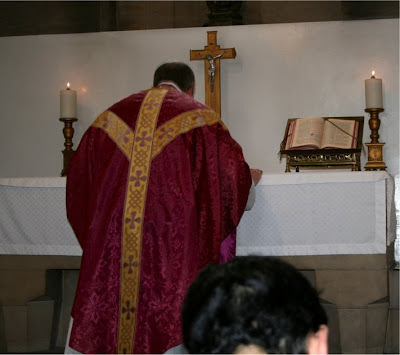 The other day, someone relatively new to the older form of Mass, told me that an elderly priest had explained to him that liturgical abuses used to happen in the old days with priests saying Mass too hurriedly. The old chap then told him (wait for it...) about how priests used to say the Mass for the Dead whenever it was allowed because it was shorter. 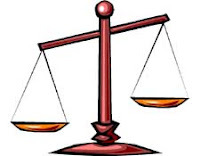 Now there are various possible views on the question of making Mass shorter. St Philip Neri used to remain so long in rapture after Communion that the altar server would leave him and come back later. But this was only at a private Mass. For public Masses, he insisted that priests should stick to 30 minutes maximum because the people might need to go to work and it would be wrong to discourage them from daily Mass. 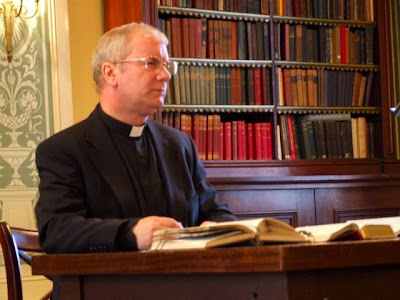 Fr Z has the text and fisk of a statement by Bishop Arthur Roche of Leeds Diocese on the Motu Proprio Summorum Pontificum. Damien Thompson has highlighted the letter and quoted Fr Z in his post "An atrocious letter from Leeds" on his Daily Telegraph blog "Holy Smoke". Fr Ray Blake has his own observations, and Catholic Action UK have suggested "local action as appropriate." Many thanks to various people who pointed out that I had pointed to the Blogger's Choice Awards for 2007 which are now closed. I have deleted that post to avoid any more confusion. Here is the link for the Best Religion Blog in the 2008 contest. Liam has kindly advised me that the talk I gave at St Andrews University "A response to Richard Dawkins" is now available for download as an mp3 file at the Canmore (Catholic Society) podcasts page. J K Rowling has "revealed" that Professor Dumbledore is gay (see BBC: JK Rowling outs Dumbledore as gay). A little metaphysical correction is needed here. The Harry Potter books are works of fiction. Professor Dumbledore is whatever J K Rowling makes him to be. Not so much "revealed" therefore as "decided". Apparently a spokesman for the gay rights group Stonewall which has achieved such success in the UK said,"It's great that JK has said this. It shows that there's no limit to what gay and lesbian people can do, even being a wizard headmaster. "I would say rather that it shows that there is no limit to what a popular author can do to court the approval of the politically correct lobby. Yesterday evening I was over at the Holy Ghost Church in Balham to speak to the Seekers Meeting organised by Fr Stephen Langridge, our vocations director in the Archdiocese of Southwark. Fr Langridge has a variety of activities to promote vocations; the "Seekers Meetings" are for those who are definitely considering applying to the seminary. There are other events for those who are not yet at that stage. He left me free to choose a topic to speak on. I chose to talk about the life of St Charles Borromeo and its significance for the priesthood today. The saintly archbishop of Milan lived through a time when the Church was struggling to renew priestly life and ministry as an essential component of the renewal of the life of the Church as a whole in response to the Protestant reformation. The website for Our Lady of Willesden parish has more information about the Shrine. A new blog from the Premonstratensians in the canonry of Corpus Christi, started by the novices. Norbertine Vocations. I'm sure this blog will be worth watching. If you don't know about Walsingham, here is the Wikipedia article (could do with some more information there if anyone has time) and here is the official site. I was there today to say Mass for the members of the Latin Mass Society who were participating in the Walsingham Pilgrimage of their parish, St Mary's Ryde. The Mass was in the Reconciliation Chapel which is a mile away from the village of Walsingham itself. It is near the last of the ancient Slipper Chapels that marked the Walsingham Way. On a future visit, I would like to celebrate the older form of the Mass in the Slipper Chapel itself. The Shrine have always been very accommodating for pilgrims wanting to celebrate the older form of the Mass. 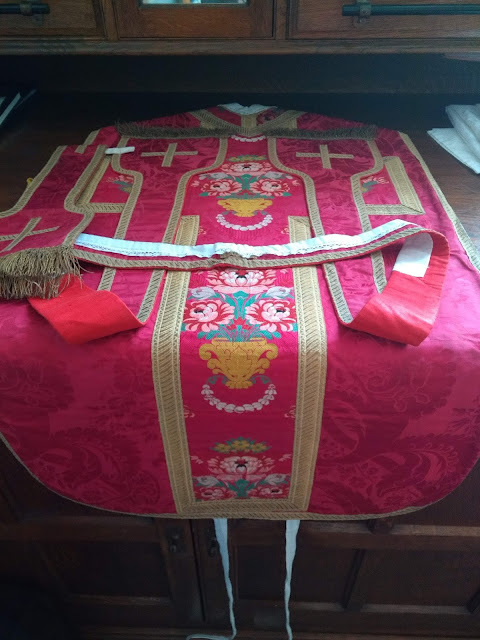 I advised the organisers of today's Mass to ask the Shrine to provide the vestments - they duly brought out a fine Roman set that had been recovered from a closing seminary and improved with a beautiful medallion of Our Lady of Walsingham. I was giving a reflection on the fourth Sunday of Advent. It was rather odd wearing a purple stole and having an Advent wreath lit in front of me. Even odder to see the hangings changed to rose for Fr Allain's third Sunday of Advent talk. Fr Paul Harrison (Thoughts from the Lune Valley) has been visiting Fr John Boyle, the South Ashford Priest and Fr Ray Blake at St Mary Magdalen's, Brighton. 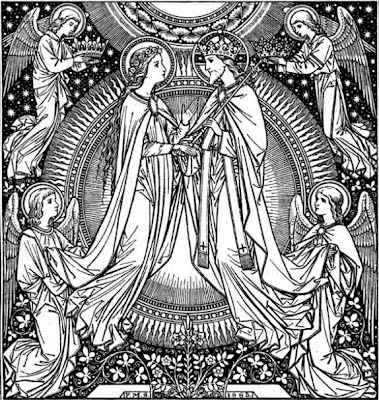 Fr Ray has posted a very good article (Thoughts with the Lune Valley in Brighton) discussing the involvement of the laity in parishes before and after Vatican II. I agree wholeheartedly with his observations and would like to add an example of my own. In the late 1930s, my father was a teenager in St Margaret's parish, Canning Town. The parish not only had the Knights of St Columba but also the junior branch, the "Squires". Several of the Knights were members on West Ham Borough Council. They used to give lectures to the young lads on Catholic social teaching and its application in practice. The text of an address by Archbishop Ranjith to the Dutch Association for Latin Liturgy (with the Apostolic Nuncio in attendance) on the subject of "Faith, Obedience and Theology has been posted at Rorate Caeli: Archbishop Ranjith's address in the Netherlands. The text was kindly provided by the Vereniging voor Latijnse Liturgie. Click here for your 23 pages of search results for "ramadan"
By all accounts, the 24th annual Rosary Crusade of Reparation was a great success again this year. This year, the procession fell on the 90th anniversary of the great miracle of the sun at Fatima on 13 October 1917. 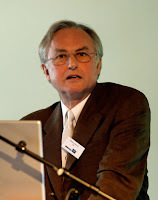 Made by Maxinne Marie for a school project in the subject "The Philosophy of Man"
In this forum at the official Richard Dawkins website, the professor himself has flatly denied recent reports of his being seen in Catholic Churches in Oxford. He says: "I do occasionally go into Oxford churches for funerals and weddings. But these are nearly always, of course, Anglican churches. I don't think I've been in a Roman Catholic church (it happened to be St Aloysius) since a funeral in 1999"
An article yesterday in the Telegraph reports on a Bill presented to the Madrid Parliament proposing a "Law of Historic Memory" to remove all symbols of Franco. Under the new law the Catholic Church in Spain will lose state aid and financial subsidies if it fails to remove the plaques listing the names of pro-Franco fighters beneath the phrase "Fallen for God and Spain". In many cases, this will mean removing monuments to those brave martyrs who fell because they refused to renounce the Catholic faith in the face of communist persecution. This is a very significant development. Modern Spain has been able to achieve a certain amount of reconciliation in the post civil war period by respecting the heroes and denouncing the atrocities that form a part of any civil war. The conference is to be co-chaired by the Deputy Secretary General of the United Nations Asha-Rose Migiro, and will have in attendance the executive directors of UN Population Fund (UNFPA) and the World Health Organization (WHO), the deputy executive director of the UN Children’s Fund (UNICEF) as well as leading abortion providers such as the International Planned Parenthood Federation (IPPF), Marie Stopes, Ipas and abortion advocates from across the globe. The conference purportedly addresses maternal and child health but does not offer much in the way of sessions addressing the real issues that would actually help: such as vaccination, clean water, and the presence of skilled obstetricians. Instead the conference focuses on "reproductive rights" (read: contraception and abortion) and devotes its plenary session to the IPAS and Marie Stopes. Jeffrey Tucker has posted a notice of an article received for the periodical Sacred Music from Catherine Pickstock. Entitled "God and Meaning in Music: Messiaen, Deleuze, and the Musico-Theological Critique of Modernism and Postmodernism", the article makes the case that without God, music itself is meaningless. I look forward to reading this as soon as it is published. There is an increasing range of resources for priests wishing to learn how to say the older form of the Roman Rite. A good idea is to keep an eye on the posts and the sidebar of the excellent New Liturgical Movement blog. Fr John Zuhlsdorf has just started an excellent new resource for priests. He is recording as a podcast the latin texts of the forthcoming Sunday. See his post for further information. Increasingly, priests and others are looking for resources to help those who are unfamiliar with the older form of the Roman Rite. I produced a short leaflet for the people who come to my parish 10.30am Mass on a Saturday. Canmore, the Catholic Society of the University of St Andrews, is thriving. Having travelled up with a revised version of my talk in response to Richard Dawkins, I was impressed to find myself speaking to a full house, including many atheists and non-Catholic Christians as well as the stalwarts of Canmore. Student life changes in some externals but there are some basic constants. Food is one of them and we had an excellent dinner beforehand in the "Glasshouse" which offered a reasonable two course meal. There was no waste as one of the hearty Catholic students hoovered up whatever was left over. Before the talk, I was taken to the pier and, I am proud to say, managed to do the "Pier Walk" which involves climbing a metal ladder and then walking along the top part of the pier which is only a metre and a half wide for the first 20 yards or so, with a sheer drop below. Apparently, if you fall off, you are posthumously awarded a first class degree! The Association of Priests for the Gospel of Life will be holding a Conference on Wednesday 31 October at the London Oratory (St Wilfrid's Hall). Registration is from 11.15am. The Conference will finish by 4pm. Publicity will be sent out to members of APGL as soon as the postal strike is finished. The Conference is open to all priests and deacons (whether members of APGL or not). It is fine to leave a comment here if you wish to come. Assemble at 1.45pm outside Westminster Cathedral. 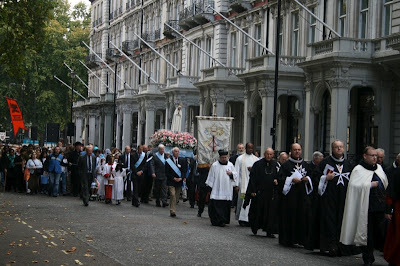 The procession makes its way to the London Oratory for devotions and Benediction. This year, Fr Julian Large of the Oratory is preaching. 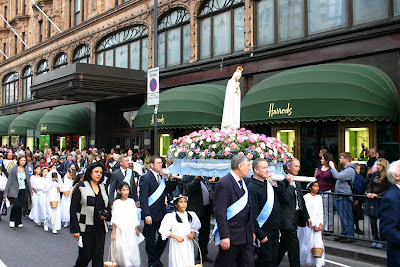 This is a major event which brings devotion to Our Lady onto the streets of central London. I am unable to go myself because of my duties in the parish but I do recommend it to you if you are free. The Truth About Margaret Sanger is a blog dedicated to exposing the truth about the founder of Planned Parenthood. The blog carries items of general pro-life interest but focuses particularly on the eugenic thinking of this iconic figure in the anti-life promotion of abortion and birth-control. They are currently running the 3rd Annual Margaret Sanger at the Ku Klux Klan Rally Art Contest which invites various representations of Margaret Sanger's speech in 1926 to the Women's Branch of the Silver Lake Ku Klux Klan as mentioned in her own 1938 autobiography. I am off up to Bonnie Scotland tomorrow to visit Canmore, the home of the Catholic Society at the University of St Andrews. I always enjoy my visits to St Andrews because of the particularly vibrant life of the chaplaincy there. I'll be flying Air France to Dundee, then taking the short hop down to the university on the bus. As I have said before, St Andrews is a beautiful place to study and I always find that the students are enjoyable company. This time, my talk is about Richard Dawkins. I'll be looking at "The God Delusion" of course but also at his other works. I feel that it is a great pity that the power and indeed beauty of his scientific writing is marred by his fundamentally irrational prejudice against religion. 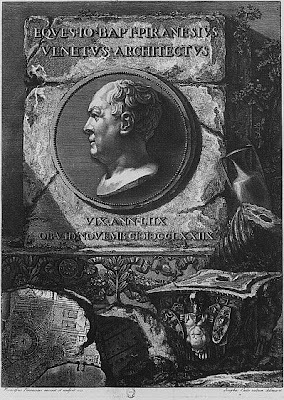 Matthew at the Shrine of the Holy Whapping has an excellent post on the 18th century Venetian engraver, Giambattista Piranesi. As a student in Rome, I often came across reproductions of Piranesi's engravings and will now see if my next visit to the eternal City can take in a visit to Santa Maria del Priorato. See the post The Genius of Piranesi which reviews an exhibition running until 20 January at the Cooper Hewitt National Design Museum in New York, entitled Piranesi as Designer. As well as the homely celebrations at Blackfen, there were two liturgical celebrations in the usus antiquior at the weekend. 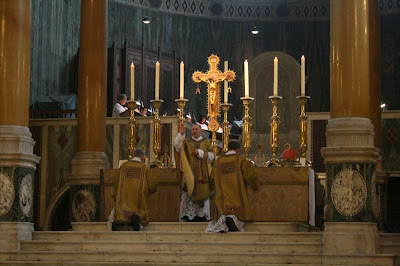 Westminster Cathedral saw a solemn High Mass celebrated at the High Altar. The ordinary of the Mass was Mozart's Coronation Mass. Since the celebration of Fr Anthony Conlon's silver jubilee, the Cathedral authorities have kindly consented to the temporary removal of the forward-facing altar. This helps the High Altar to be seen in all its original glory. Apparently, the Cathedral was full for the Mass. On Sunday, there was a High Mass at the Cathedral of St John the Evangelist in Portsmouth at which Palestrina's Missa Brevis was sung. Afterwards, I hear that Bishop Hollis kindly came to meet and greet those who attended the Mass. Cardinal George gave an interview to John Allen last week which made a number of very good points. Here is a link to the full text of the interview (pdf 56Kb) and a summary with extracts at Allen's All Things Catholic. Yesterday was the patronal feast day of our Parish. The Union of Catholic Mothers excelled themselves in decorating the Church with with floral displays and dressing the statue of Our Lady of the Rosary. Our principal Mass was sung in Latin, eastward-facing, with the usus antiquior "helping to inform" the celebration of the newer form. In the afternoon we had the Rosary, procession of the statue of Our Lady (with both the Lourdes and Fatima hymns), Litany of Loreto and Benediction. There is an interesting story on the front page of this week's Catholic Herald. Apparently Cardinal George Pell has jumped into the front-runners for Archbishop of Westminster. The book opened by Paddy Power has Cardinal Pell at 10-1, ahead of Aidan Nichols and Arthur Roche. Favourite is Vincent Nichols at 2-1, followed by Kevin McDonald at 5-1. Thank you for all your suggestions for cold remedies. I actually made the request tongue-in-cheek and was going to follow it up by asking advice on the best route from Peckham to Heathrow. In any case, your kind responses were a tonic in themselves. Having recovered from the cold, I was knocked flat again last night - this time with food poisoning. I have had this once or twice before and will not go into any details, nor indeed request any antidotes: the solution is much the same as for a cold (mainly sleep) but without the alcohol. So just one or two quick posts then I'm off to bed. I want to be in good shape for our parish feast day. We have a sung Latin Mass at 10.30am. Liturgically, it will be "like a householder who brings out of his treasure what is new and what is old." One of life's little challenges is when you need to put the heating on in the Hall - and it doesn't work. Fortunately, we have a very good central heating engineer in the parish who runs his own firm. It turns out that the boiler - installed 5 years ago and replaced soon after - has some sort of boiler version of gut rot. It could be repaired at some cost and labour time but we decided to call it a day and put in a new one. Apparently this is a "condensing boiler" which is more efficient too. And has a five year warranty: probably a good sign. While you are at it, take a look at the articles clarifying the rules for music at Low Mass and music at High Mass. The comment of Emma (17) on my last post reminds me of an episode from my time 13 years ago as parochial administrator of St John Fisher, Thamesmead South. I enjoyed my time there - I had a nice little town house on the estate, got permission to reserve the Blessed Sacrament in the downstairs chapel and introduced daily Mass there on an eastward-facing altar I built myself. It was a small community in a "Local Ecumenical Project" (I did not opt to celebrate the "simultaneous eucharist".) The collection was about £100 per week so I used the skills learnt from my father and did all the repairs to the house myself (plumbing, electrical, flooring, etc.) Stood me in good stead when looking for builders later. One year, two girls came and asked me if they could join the Confirmation class. At 16, they were four years older than the others but joined in with good spirit and came regularly to Mass. They were called Nicky and Tracy. Damien Thompson has been making people cry with his remarks about the composers of "contemporary" liturgical music. The reader who said that Holy Smoke was the first blog he had read which ever made him cry was writing on the Society of St Gregory Forum. The discussion there was somewhat prophetic since it took place in advance of Damien's post which included the comment that a better name for the SSG would be the "Society for Composers of Gruesome Seventies Ditties that Make You Want to Run Screaming for the Exit." You are invited to make your own mind up by listening to some of the selections (try the Kyrie from the Mass for Easter) from "Baptised with Fire" - described by Damien as "a good choice of title, since judging by the extracts I’d rather be burned alive than listen to the whole album." Now generally on the blogosphere, this kind of comment will spark off a good old flame war and heads are metaphorically broken on both sides.